The last two weeks we looked at the role that nutrition and lifestyle changes play in improving and maintaining better bone health. 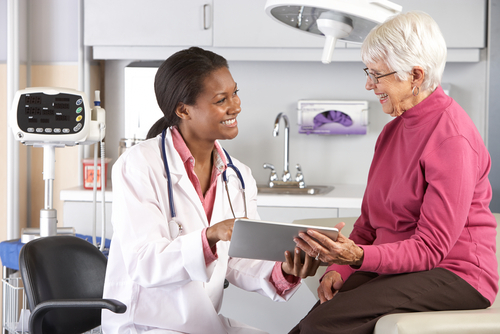 This week, let’s see how your doctor can help you understand bone health and address any concerns you may have. Call us today to schedule an appointment with our experts. Many factors affect bone strength. Use of certain medications to treat chronic diseases, for example, is an often-overlooked risk factor for developing osteoporosis. Also, certain medications may cause dizziness, light-headedness, or loss of balance — which could put you at risk for a fall. Your doctor can explain your own risk — as well as options for preventing and treating bone loss. How can I best improve my bone health? What is the best calcium to take? What medication can help me? Has this medication been proven to lower risk of fractures of spine and hip? Do I need special instructions for taking my bone medication? Will the medications affect other drugs that I’m taking for other conditions? How soon will I see a change? How long will I take this medication? Am I taking any medications that put me at risk for a fall? What exercise is safest for me? Are there exercises I should not do? How can I know if I’ve fractured a bone in my spine? How soon should I schedule my next appointment? What should I do to prevent falls? A bone mineral density test (BMD) is the only way to determine the extent of your bone loss. The gold-standard bone density test is dual energy X-ray absorptiometry (DEXA), says Diemer. “It’s a low-radiation test and is the most accurate bone test we have. 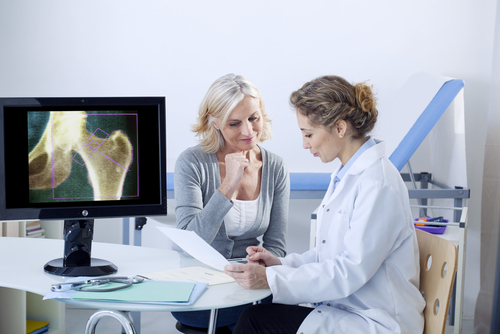 Your doctor will determine how frequently you should have a bone density test. If you’re taking osteoporosis medications — or have certain risk factors — you may need a test every six months. Before having the test, check with your insurance company. Some will only cover bone density tests every two years.